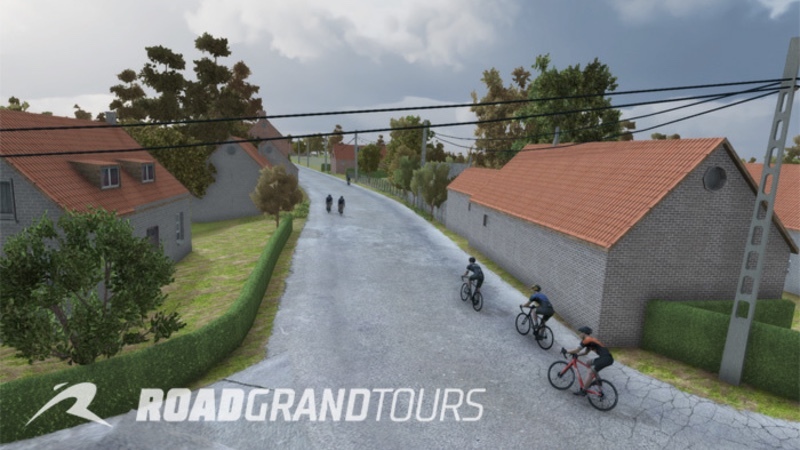 Virtual cycling specialist Road Grand Tours (RGT) has confirmed the addition of a new virtual road – the Paterberg in Belgium. The road offers up a climb to cyclists that has been made popular at the Ronde van Vlaanderen (Tour of Flanders), when it first appeared on the course in 1986. The Paterberg hill is in the municipality of Kluisbergen, in the Belgian province of East Flanders. It is one of the steepest climbs in the region – having a maximum gradient of 20% and an average gradient of 12%. Road Grand Tours is billed as ‘the most immersive indoor cycling experience… and the future of indoor cycling.’ Featuring many of cycling’s most iconic roads recreated with an attention to detail, the RGT team notes that the platform uses realistic graphics, customisable avatars and accurate drafting dynamics to create an most immersive indoor riding experience. RGT notes that the slopes of the Paterberg hill were unpaved until 1986, when a local farmer paved the road in cobbles because he wanted the Tour of Flanders cycling race to pass by his house. The cobbled climb became one of the iconic sites of Belgian cycling, and in 1993 the road of the Paterberg was classified as a protected monument. Featuring some of cycling’s most famous climbs, RGT includes virtual simulated courses of the Stelvio pass, Cap Formentor, Mont Ventoux and Pienza. Two race circuits have also been added, including a circuit around London’s Canary Wharf and the 8bar crit around Berlin’s former Tempelhof airport.